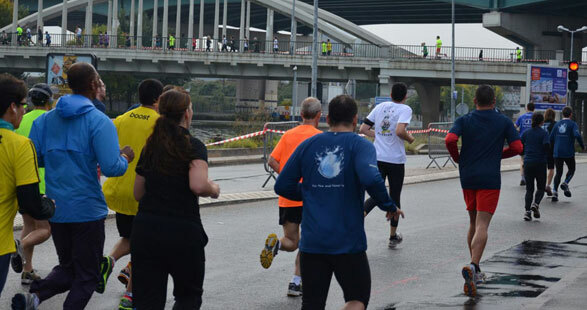 Placed between history and modernity, the race courses will make you discover the Basilica of Saint-Denis, the necropolis of the kings of France and the Stade de France, the main national event venue. The Royal Way (La Voie Royale) Royal since 25 years. The Belle Vadrouille is a fun race of 5 km, totally playful, friendly, festive and at free pace. It is not a competition. Alone, in family or with friends, you will cross all the Stade de France. the Nordic walking is also part of the celebration. Take out your sticks and mix with the Belle Vadrouille and let yourself be carried away by a royal walk on the Sunday morning of October 27, 2019. 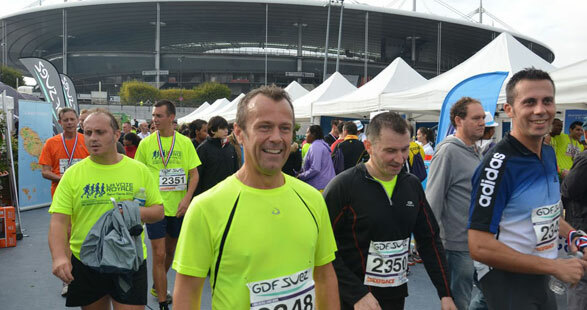 The Half Marathon and the 10 Km and La Belle Vadrouille cross the Stade de France. Accompanyers, friends and families will have access to the grandstand of the Stade de France to encourage you and take a pictures. 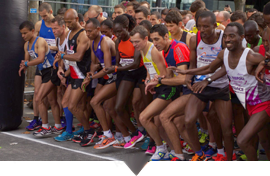 The 10Km International.The International 10Km, will be the main event of the 2019 Royal Way. 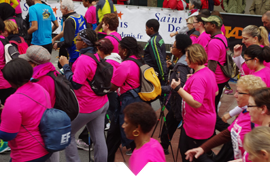 International Half Marathon of Saint Denis 2019.The experience at the service of the event. 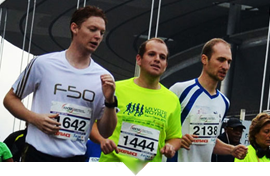 We propose an Half marathon a 10Km pace, a true concentrate of performace and the La Belle Vadrouille; 5Km walk at free pace. La Belle Vadrouille.Walking at a free pace of a distance of about 5 Km open to all and including Nordic walking.